Compose, Play, Inspire. Love Music? Love Musical ARC. 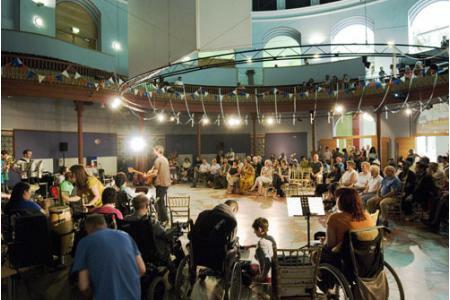 Musical ARC is a unique ensemble of physically and sensory disabled and non-disabled musicians, who support disabled artists to pursue excellence in music and to challenge notions of disability through professional musical performances and workshops. 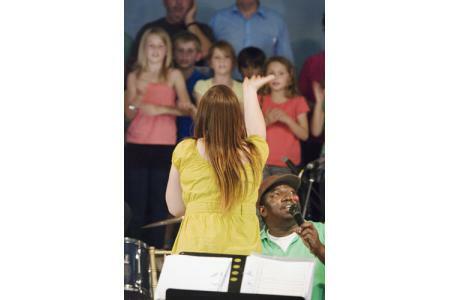 We create new, innovative and affective music and collaborate with other art forms such as dance, drama and story-telling, performing in various venues and settings. 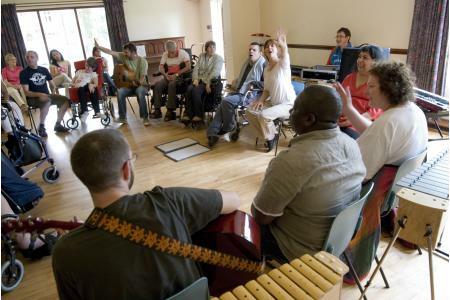 People with impairments are often excluded from the arts provision that is available to the community. Musical ARC increases access to music for disabled people, both as participants and audience.What sets Musical ARC apart from other groups is our genuine commitment to undertaking professional public performances in mainstream venues, challenging people's notions of what it means to be disabled and empowering our disabled musicians to have the same goals and aspirations as their counterparts. Your donation will ensure that music and performance is accessible to all, no matter the severity of disability. Our members love to perform, take great pride in their abilities and rise to whatever challenge we throw at them. Our members are our greatest asset, no more evident in their work promoting tolerance and understanding in schools where children and musicians come together to create and play music, with disabilities becoming irrelevant. Create, Play, Inspire, its what we do! We are currently looking for volunteers who can help us develop and maintain our web-site and enhance and manage our mailing lists. Whilst we often also have opportunities for volunteers who wish to work with the group, providing support to disabled members to compose and play music, we do not currently have any openings. Sheet music or other essentials for participants at a Musical Arc session. The cost of a volunteer attending a music session and supporting others. A trained personal assistant to support the group at a full-day session.